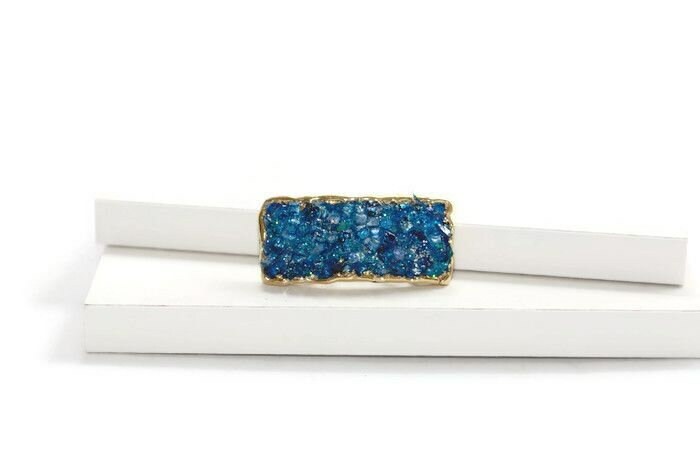 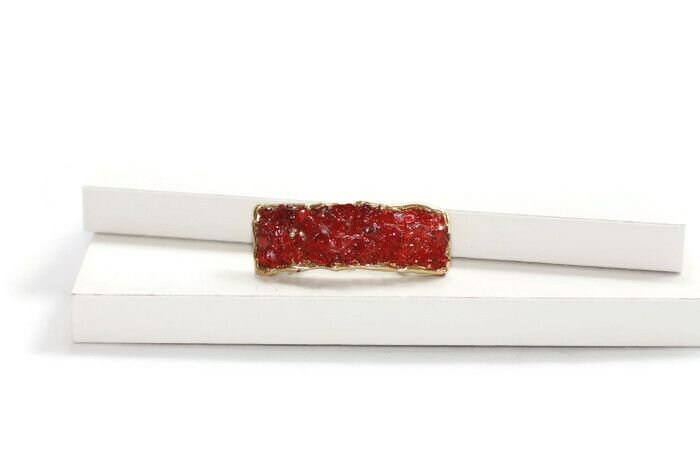 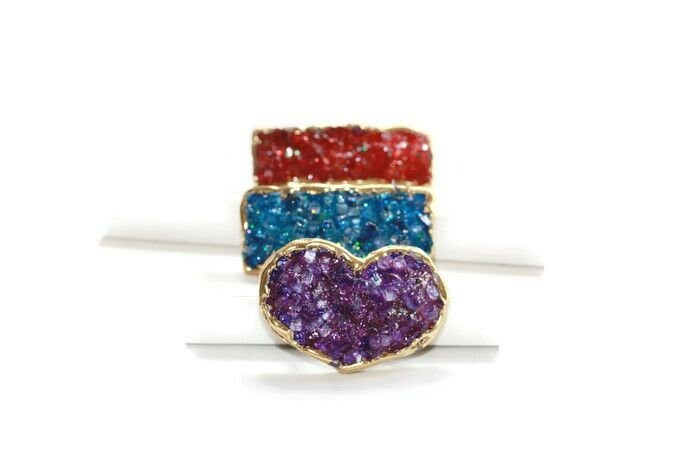 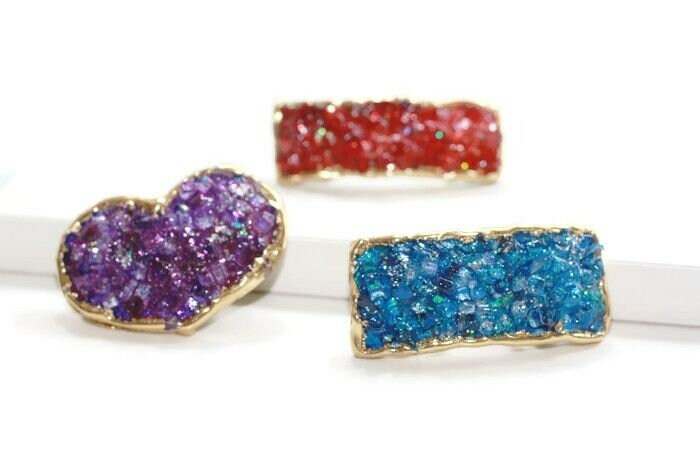 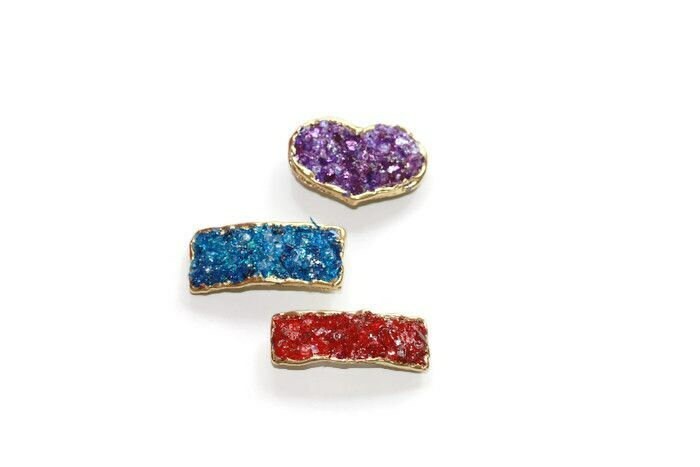 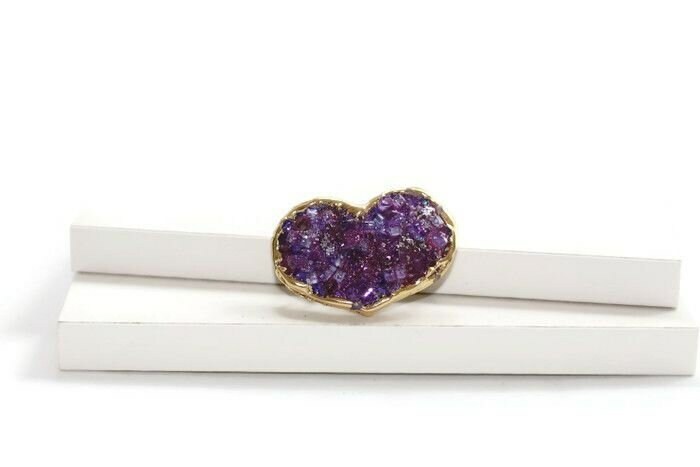 Purple Heart Mini Faux Druzy Quartz Crystal Clip for your hair. 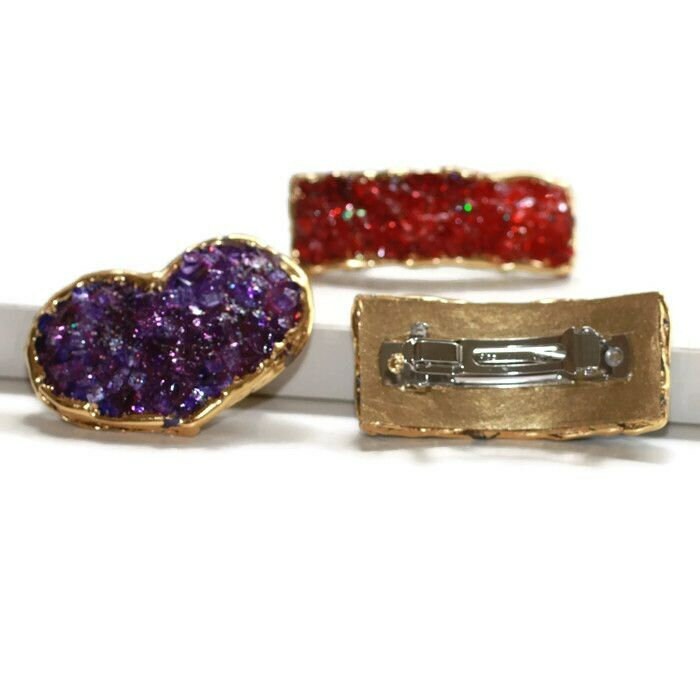 These dramatic clips sparkle and shine in an amethyst faux crystal hair clip, perfect for the holidays, bridal parties or a special occasion hair accessory. 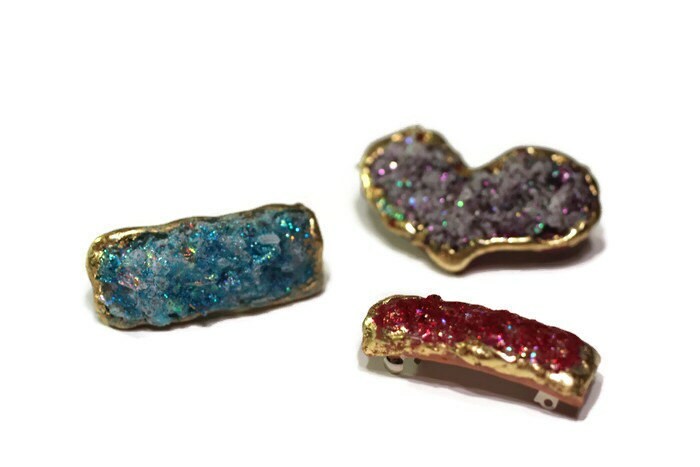 Each Clip is about 2" x 1/2 - 1"